The Dolcefarniente Outdoor Collection catalogue includes the entire Contemporary resin production, therefore many different furniture made of synthetic resin designed for extended use in outdoor environments and thus weatherproof. The collection includes: sofas, armchairs, dining tables, chairs, sunbeds, poufs, plant holders and everything that contributes to the realization of a complete and elegant project. 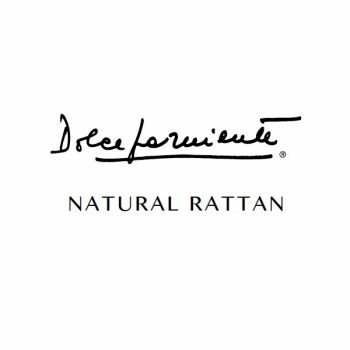 The Dolcefarniente Natural Rattan catalogue includes a special selection of furniture made of precious natural materials such as rattan, wicker and rawhide, intentionally left with their original finish. Creations characterized by a great craftsmanship and enriched with tailored fabrics suitable for use in covered outdoor areas such as patios and porches. Fill in the form and do not miss the opportunity to discover Dolcefarniente!